D.C. Readers: You're invited! Join Axios' Kim Hart this Wednesday for a morning chat about how artificial intelligence will affect our economy, jobs and maybe even the way we use energy. RSVP here. For my latest Harder Line column, I report in partnership with our “Axios on HBO” series on the future of nuclear power. I’ll share a glimpse in the top piece and then Ben Geman will get you up to speed on other news. Three Mile Island, Pa. — Next year will mark 40 years since America’s worst nuclear-energy accident unfolded here in a partial radioactive meltdown. The Pennsylvania reactor still operating next to the defunct one is set to close next year, 15 years sooner than planned. Why it matters: As we found in a visit for "Axios on HBO," this power plant represents everything good and bad about America’s nuclear power. As climate change worsens, calls are growing to keep plants like this one open despite the financial strains because they emit no heat-trapping gases. Yet fears persist about safety and what to do with the radioactive waste. — Sen. Sheldon Whitehouse (D-R.I.), in an interview for "Axios on HBO"
Driving the news: Exelon, owner of Three Mile Island, has been losing money for 5 years on this plant. It announced earlier this year it was planning to close the plant in September 2019 unless there's government action, likely through the Pennsylvania legislature, to financially help it remain open. Oil prices are climbing this morning, bouncing back from yearlong lows after a burst of news ahead of the pivotal Dec. 6–7 OPEC meeting. Early morning trading shows WTI at around $53.22 and Brent crude at $61.75. Why it matters: There's ample evidence of looming steps that will tighten the market, as well as new instability in oil geopolitics. At the G20 meeting over the weekend, Russian President Vladimir Putin said after meeting with Saudi Crown Prince Mohammed bin Salman that the production management deal between OPEC and Russia will be extended. Alberta Premier Rachel Notley announced Sunday night that she's mandating a cut of 325,000 barrels per day to address the province's "storage glut," noting there's not enough pipeline capacity coming out of the region. The weekend announcement of a truce in the trade war between the U.S. and China. Trade wars are bad for demand growth. Qatar said today that it's quitting OPEC. Although Hedgeye Risk Management's Joe McMonigle says in a note this morning that it's a "non-event from a fundamentals standpoint" because they're a pretty minor producer. McMonigle writes this morning,"The Putin-MBS agreement was the first concrete sign that OPEC is moving toward a significant production cut to address a forecasted 1H 2019 production surplus and reverse sentiment that has sent prices down about 30 percent since October." But, but, but: Here's where I'm contractually obligated to say the devil is in the details when it comes to OPEC output curbs. But the weekend Putin-MBS chat (and their Friday bro-handshake) reinforced the view that fresh output curbs are likely when what's known as OPEC+ gathers late this week in Vienna. The big picture: "Shell will set the target each year, for the following three- or five-year period. The target setting process will start from 2020 and will run to 2050," Shell said in a statement Monday. Why it matters: The yet-to-be-determined targets represent new, nearer-term pledges from Shell, which has previously laid out non-binding, long-term goals to cut net emissions by 20% by 2035 and in half by 2050. Background: The multinational energy giant released a joint statement on the plan with the shareholder group Climate Action 100+, while the Financial Times first reported the new agreement late Sunday. It's the result of negotiations led by the Church of England Pensions Board and asset management firm Robeco. Shell said the near-term targets will "operationalize" the longer-term goals first announced in 2017. "The industry has long resisted the idea of taking responsibility for product emissions, even though they are an order of magnitude larger than operational emissions and are the source of much of the industry's climate risk," he says. "This announcement means that Shell is moving from ambition to firm targets," Logan adds. Shell said it recognizes that it's important to ensure the memberships don't "undermine its support for the objectives of the Paris Agreement on climate change." The results of the review will be made public in the first quarter of 2019, per the company. Breaking Monday: Exxon has updated its estimate of the recoverable resources it has discovered off the coast of Guyana to 5 billion barrels of oil-equivalent, thanks its latest new find announced today. Why it matters: The previously estimate was already over 4 billion, but the latest find underscores how the region is increasingly important to Exxon's long-term production outlook. The company and partners plan to begin production in early 2020 and hope to reach 750,000 barrels of oil per day by 2025. Go deeper: Why Guyana is a big deal for Exxon. Amy reports that President Trump's view and policies on climate change have been years in the making, including the decision by the president and top aides to dispute their own government’s report on how it will affect the U.S.
1. Steve Milloy and Myron Ebell. Both men helped run Trump's transition team at the Environmental Protection Agency and their positions on climate change are among those that most dispute the scientific consensus. Ebell is a senior fellow at the Competitive Enterprise Institute, a conservative think tank. 2. The Heartland Institute. Certain conservative think tanks and advocacy groups, including Ebell’s group and the Heartland Institute, have been pushing misinformation about climate science for decades. This E&E News story from October showed the White House reached out to the Heartland Institute for insight, whose work has concluded climate change isn't a problem. Go deeper: Click here to read about more of the people and organizations. The White House is making the case that several big countries are having doubts about the Paris climate deal — even as the weekend brought a stark sign of U.S. isolation. Why it matters: The administration's claims of Saudi Arabia, Turkey and Russia having second thoughts about the Paris deal came just ahead of a UN summit kicking off in Poland this week focused on implementing the 2015 agreement. Driving the news: The communique from the G20 summit in Argentina endorsed a "full implementation" of the Paris agreement, but the U.S. dissented from that section of the otherwise joint declaration. The intrigue: A senior administration official told reporters in Buenos Aires on Saturday that negotiation of the pro-Paris section was contentious. "[W]hat you're starting to see is you're seeing a little bit of the coalition fraying. Countries like Turkey, like Saudi Arabia, like Russia, might be second-guessing some of that." "I think our message was resonating in the room, because that was the last issue to close, and there were other countries who are thinking long and hard about whether they still wanted to remain committed to that paradigm." The AFP's reporting backs up some of these claims. They cited a French source who said a "certain number of countries" hesitated before confirming their commitment to Paris. It's worth noting that the administration official said China — by far the world's biggest carbon emitter — was not among the second-guessers. 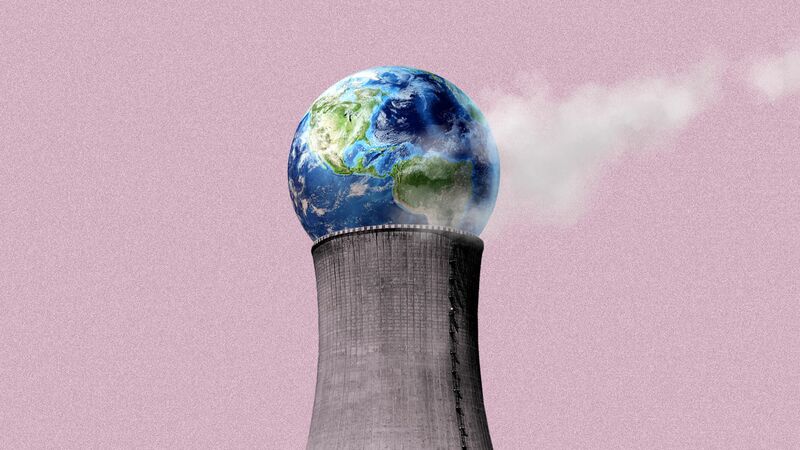 What they're saying: Andrew Light of the nonprofit World Resources Institute tells Axios that the weekend events don't signal that the Paris pact is ailing. "I haven’t been through a single one of these in the last 10 years where there hasn’t been some kind of rumor about defections among the parties on their commitment to climate action. Usually, the focus is on the same three: Russia, Saudi Arabia and Turkey." But, but, but: Robert Stavins, a Harvard expert on climate diplomacy, tells Axios that Trump's intention to abandon Paris has emboldened some other countries. Go deeper: Read more of the full story in the Axios stream. Why it matters: The surveys will help gauge the size of hydrocarbon resources off coastal areas that are now off-limits to drilling, but would become available under draft federal offshore leasing plans. However, environmental groups say the tests could harm or even lead to the death of sensitive ocean mammals. The Obama administration had thwarted similar industry requests. Where it stands: The National Oceanic and Atmospheric Administration (NOAA) on Friday announced approvals for 5 companies to "incidentally harass" marine mammals in a region that spans from Delaware to Cape Canaveral, Florida. Go deeper: Andrew Freedman joins me in writing this piece.